Star Wars The Old Republic players looking forward to the launch of the new Shadow of Revan expansion will be pleased to know that it can now be downloaded and is available to purchase for $19.99. The latest expansion, Shadow of Revan for the Old Republic game was launched with a teaser trailer which can be reviewed after the jump and brings five new levels to gain and plenty more features. The story driven Star Wars missions and the increased level cap of 60 enables players to explore savage new worlds and fight in new high-level multiplayer Flashpoints and Operations, say the games creators Lucasarts, Bioware and EA. “In the midst of the ongoing war between the Sith Empire and the Galactic Republic, a long-hidden sect of extremists has emerged, led by the enigmatic former hero of the Jedi Civil War – Revan. These “Revanites” are mustering an army with an apocalyptic plan that will leave the Republic and the Empire in ashes. 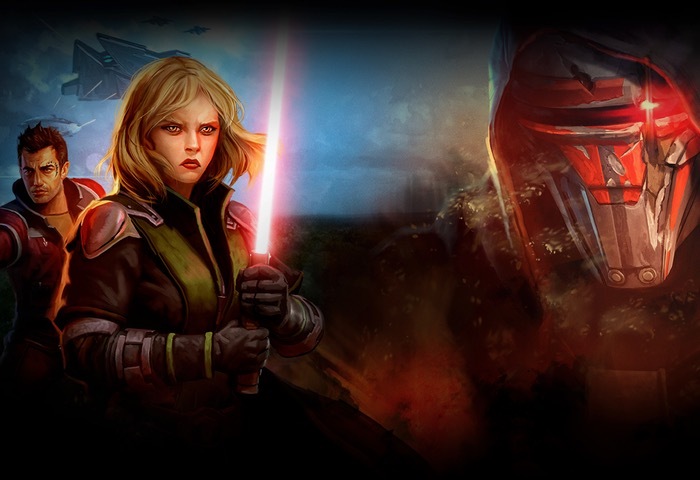 For more information on the new Shadow of Revan expansion jump over to the official SWTOR website for details via the link below.